Games Workshop have some pretty extraordinary characters in their games, often with tomes of background fluff dedicated to them, and this all adds to make their games some of the best loved in the hobby! Warhammer 40,000 has no shortage of heroic characters, or vile villains, from freedom fighters such as the Tau Commander Farsight, to the evil machinations of the Lord of Chaos Abaddon the Despoiler! All these characters breathe life into the game and make its background one of the richest in the entire hobby. One of the most tragic, yet beloved characters in the whole of the 40K universe is the Primarch Sanguinius, the fallen angelic winged leader of the Blood Angels chapter of Space Marines. 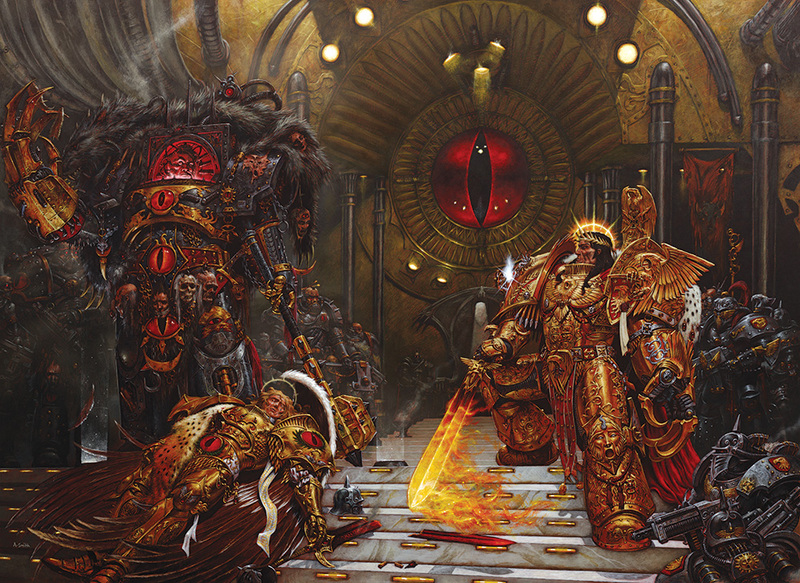 Since his first introduction almost 30 years ago and his death at the hands of his brother Horus, Sanguinius has captured the imagination of players and readers of the books based on the game world wide. Being instrumental in the final battle of the Horus Heresy the Primarch was struck down by his more powerful brother and this epic battle has been the subject of many paintings and dioramas over the years. 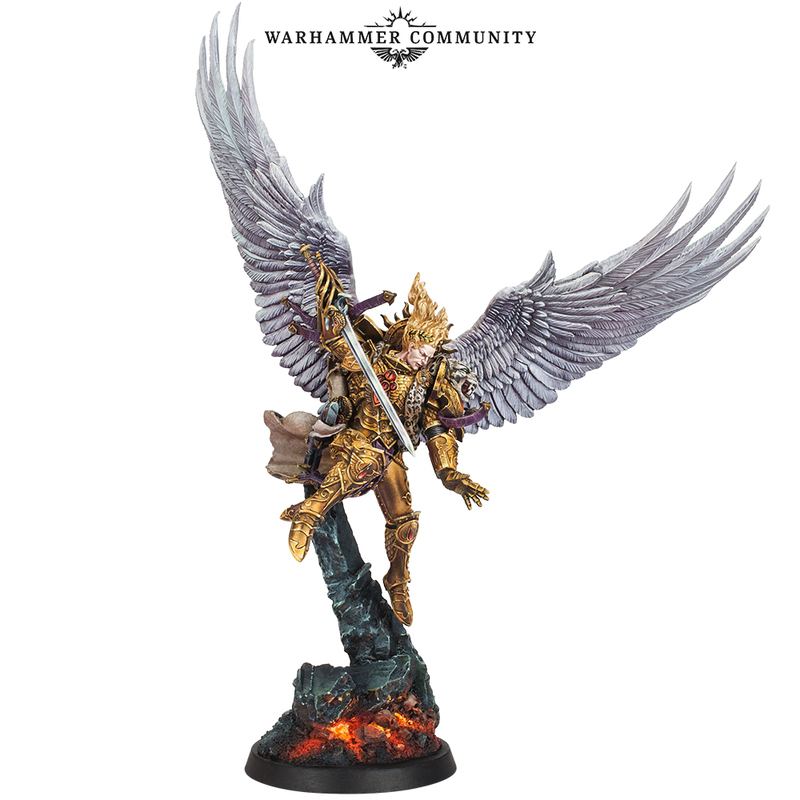 Now Forge World are teasing a miniature version of the angelic Primarch Sanguinius which looks totally stunning. The price has yet to be announced, but this beautiful looking model will be available in two versions, one of which will be an extremely limited run . With the return of the Ultramarines Primarch Roboute Gullimane kicking off the new version of Warhammer 40,000 not that long ago, and Mortarian returning from the warp, we could see more of the Primarchs both traitor and loyalist coming in miniature from soon.